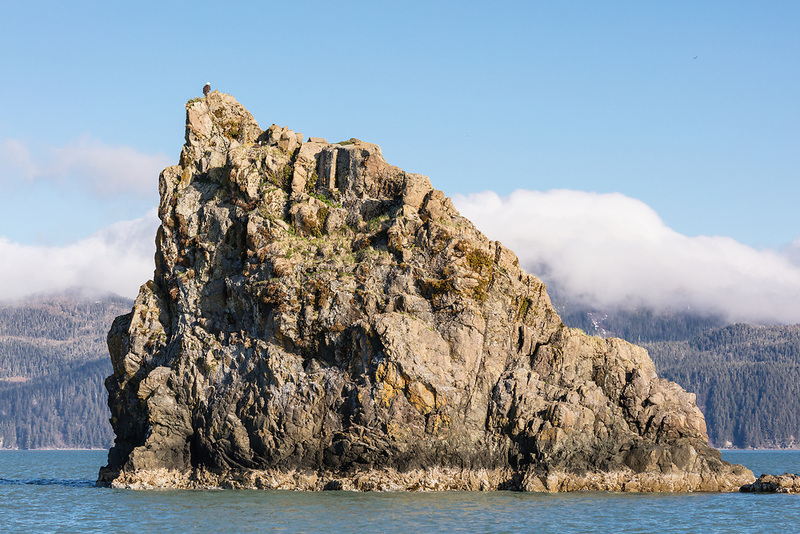 Two Bald Eagles (Haliaeetus leucocephalus) guard a nest on top of a rock monolith in the Copper River Delta in Southcentral Alaska. Spring. Morning.